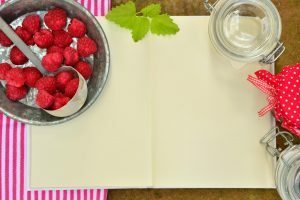 The art of food dehydration has been around for centuries, it’s considered one of the oldest methods of food preservation. What started as an act of necessity, turned into convenience. Food dehydration became popular globally around the 1960s, thanks to backpackers and campers. But now everyone from the busy soccer mom to the modern businessman enjoys the convenience of food dehydrators. 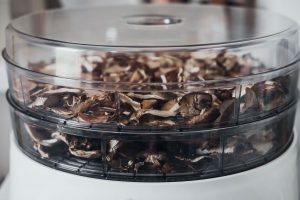 Want to buy a dehydrator, but aren’t sure which one to choose? 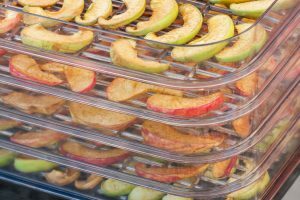 Check out our list of the top five best food dehydrators of 2018! 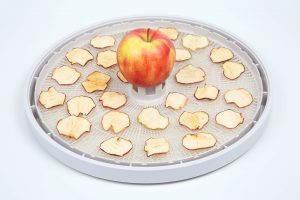 LEM Products 1153 Food Dehydrator tops our list of best dehydrators. 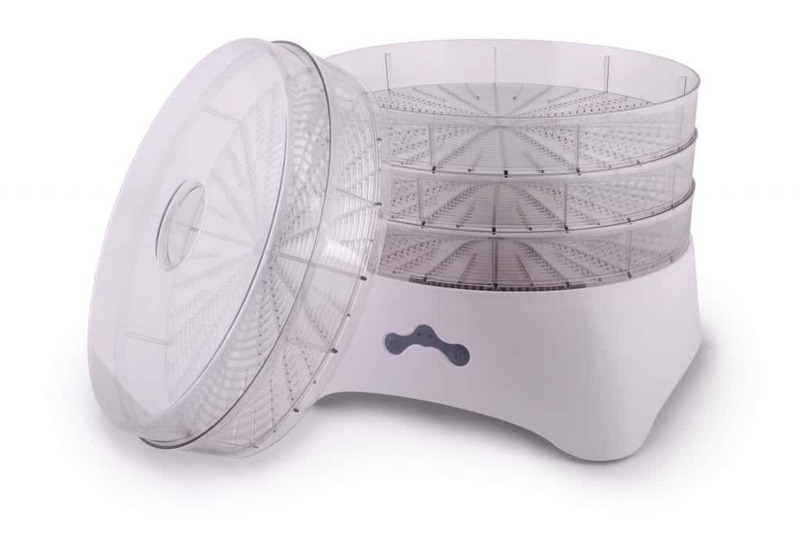 This dehydrator is great because it comes equipped with ten trays. You can use these trays to cook different types of food at the same time while keeping all your flavors separate. Other top features include its digital timer and automatic shut off. Enjoy the transparent door, which lets you check on your food without slowing down the dehydration process. And the 60-inch long power cord allows you to easily prepare your food even with a horrible kitchen layout. DPThouse Electric Food Dehydrator is easily labeled as a favorite food dehydrator. This 10-tray dehydrator has a unique design. With a rear fan, it offers better airflow which results in evenly dried food every time. An adjustable thermostat allows you to change the temperature to dry different types of food. This dehydrator is completely stainless steel and BPA free. This ensures no harmful chemicals or substances will transfer to your food during the dehydration process. L’EQUIP 528 6 Tray Food Dehydrator is a great addition to every kitchen. 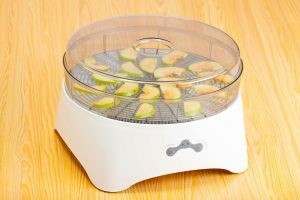 This dehydrator has a small and simple design, meaning it’s great for those who lack a lot of storage or counter space. But despite the small size, you can still expect a great dehydrating process because of its “centra flow” air design. With a ten-year warranty, this is a great option for both experienced and beginner food dehydrators. BioChef Arizona Sol Food Dehydrator is a great, affordable option. With a transparent door and air flow that provides even drying, you’ll never have to worry about your food turning out bad. Its Enzyme Protection Technology ensures that your food’s nutrients are properly preserved. It comes with a 19-hour timer, drip tray, mesh sheet, and non-stick tray. 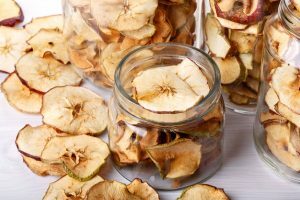 You’ll have everything you need to start dehydrating food immediately. 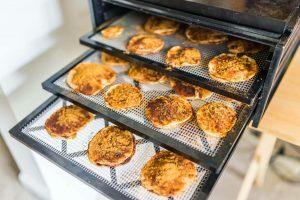 Gourmia GFD1650 Premium Electric Food Dehydrator finishes our best of 2018 list. This food dehydrator comes with eight temperature presets to take the guessing game out of the equation. A digital timer and thermostat will ensure that your food is dehydrating properly and lets you keep track of the process. A big advantage of this machine is the six adjustable shelves, letting you adjust the drying spaces as needed. This food dehydrator even comes with a bonus cookbook! 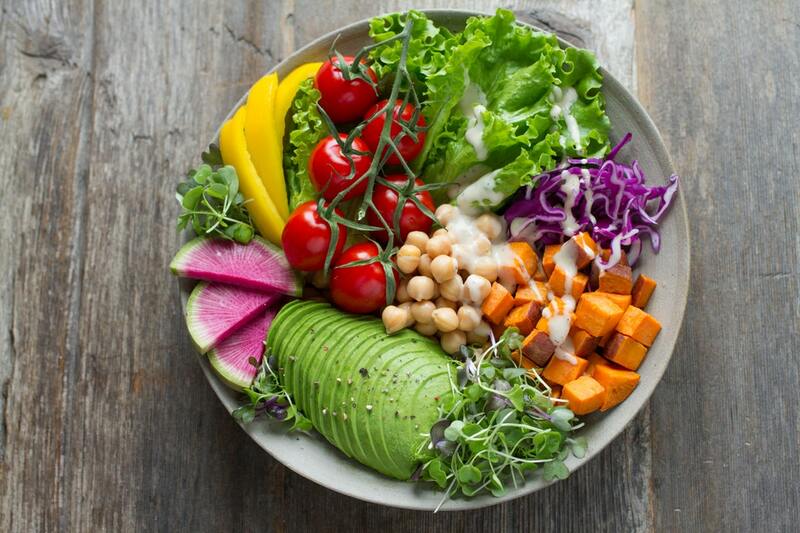 Now that you know the five best food dehydrators on the market today, it’s time to buy yours and get cooking. 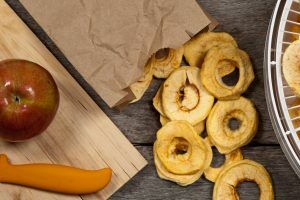 Food dehydrators are a great option for outdoor lovers. 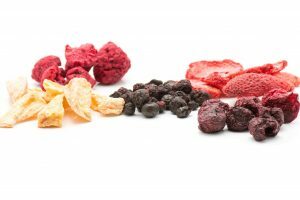 Not only will dehydrated food recipes last longer than fresh ingredients, but they are also lightweight and easy to carry. 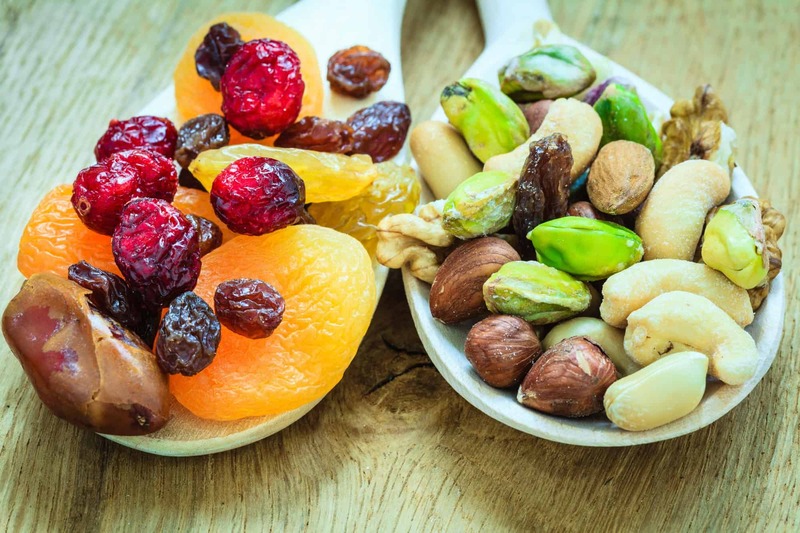 Prepare a few snacks and meals for your next hike or hunting trip. Need food inspiration for your next trip? 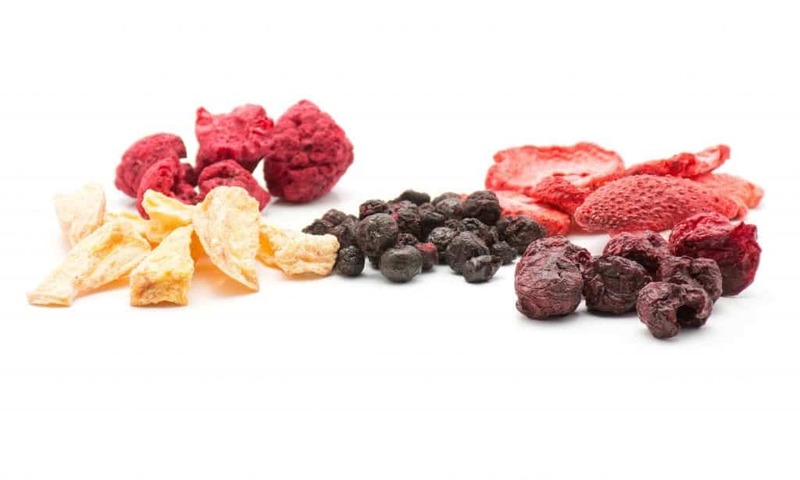 Check out this article on the top must-have travel snacks.